A Full Circle…Woven In A Basket of Hope. You’ve heard the phrase “It has come full circle.” It’s the idea that something starts and ends in a similar manner. Well, we’ve had something come full circle in our lives that we’re quite excited about. And this circle is woven in the form of a basket… a Basket of Hope. The story starts just weeks after our son was diagnosed with cancer. 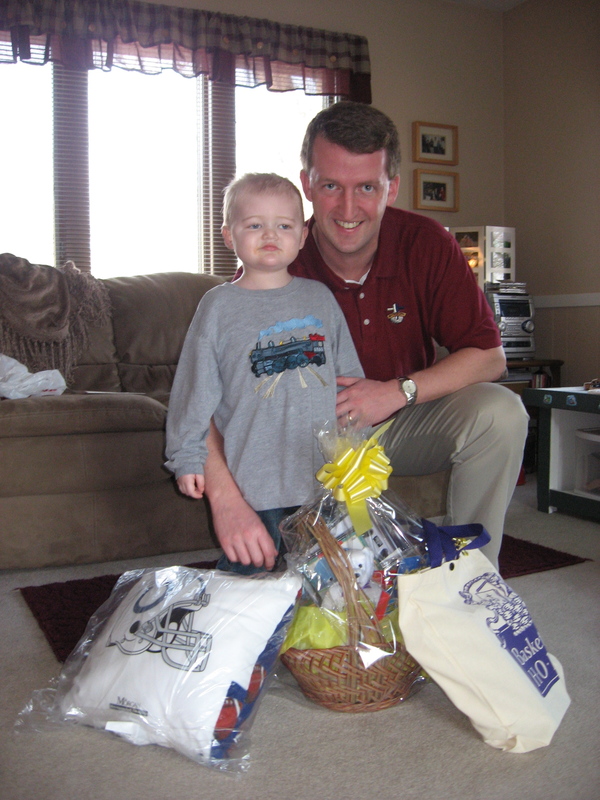 Karson was 2 years old and we’d just been given the devastating news that he had leukemia. His diagnosis came to us as a complete shock and was delivered 5 days after the Indianapolis Colts won the Super Bowl in February, 2007. Our lives were soon filled with chemotherapy, blood draws and countless trips to Riley Children’s Hospital in Indianapolis. I was consumed with caring for Karson and we were struggling to find the new normal in our lives. My husband, Kraig, would accompany us to chemo appointments at Riley but he also had the tough task of going back to work. He works for the Fellowship of Christian Athletes and was then the Northern Indiana Director. It’s a wonderful ministry and has provided many special opportunities. One of those special and unique opportunities came that winter of 2007. FCA was asked to come to the Colts Complex in Indy and help Coach Tony Dungy open and sort his mail. You see, Coach Dungy and his team had just won the biggest game in football and he was now getting more mail than he could personally go through. The Indiana FCA staff was a trusted group to ask for help with opening, reading and then sorting the mail. Kraig and the other FCA staff were busy going through mail. There were congratulatory letters, speaking requests, letters of self-recommendation of those who thought they could be playing for the Colts, 🙂 and even the occasional homemade gift! As the mail was being sorted, Dungy’s assistant, Jackie Cook, came into the room and told the FCA staff about an organization their team was working with called Basket of Hope. She explained that it was an organization started by Kurt Warner when he played for the St. Louis Rams. Warner and Basket of Hope would fill baskets full of toys and goodies for children and personally deliver them to really sick kids in children’s hospitals around their area. They would also deliver tote bags filled with inspirational books, items and even a Bible to the parents. Now the Colts were doing the same and Dungy was hand delivering baskets to children on the cancer floor at Riley hospital. All eyes turned to Kraig. Jackie was unaware of Karson’s diagnosis. Kraig explained that this obviously hit home to him as a great idea and he told Jackie about Karson’s leukemia and the three year chemotherapy regimen we were facing. Jackie then took Kraig to Coach Dungy who gave Kraig a Basket of Hope to take home to Karson as well as a tote bag for us and an autographed Colts pillow. The basket of toys was special to Karson. One of the toys included was a Thomas and Friends matching game that we played more times than I care to remember over the coming months! The pillow is a wonderful keepsake and the tote bag included a Scripture card holder and verse cards that sit above my kitchen sink to this day. During those early days of Karson’s treatment the biggest comfort to me was reading God’s Word. It soothed my soul and held out Truth to me in the midst of so many scary uncertainties. To have received a tote bag from Basket of Hope with a Bible inside spoke volumes to Kraig and I about the type of organization it was. Basket of Hope gives hope in a basket and offers ultimate hope through God’s Word. We were impressed! We also were impressed with Coach Dungy. He is a man of integrity and faith and so Kraig invited him, just over three years later, to speak at the annual Fellowship of Christian Athletes Banquet in Fort Wayne. 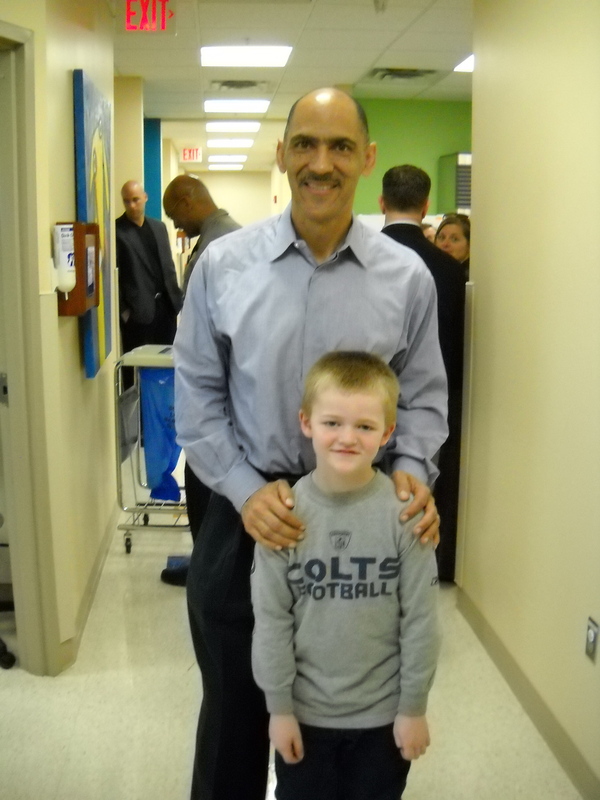 Coach Dungy agreed and not only did he fly in for the banquet, but came early that day and went with us to our local Pediatric Oncology Unit where Karson was just about to finish his three plus years of chemo. Dungy visited with the children and families at Lutheran Hospital Kids’ Cancer Clinic that afternoon and allowed Karson to “show him around” the unit to each room. Dungy was patient and kind. He took time with each family and we saw first hand that he put many smiles on faces that day (kids and parents alike!) Again, we were impressed! Now, here’s the part where it starts to come full circle. First, Kraig and I were asked to serve as board members on the NE Indiana Riley Hospital Foundation Team. We agreed because the research done at Riley has touched our life first hand. The cure rate for the type of leukemia that Karson has (A.L.L.) has gone from just 4% 30 years ago to an astounding 85% today. And the research at Riley, and other children’s hospitals like it, have made that possible. So yes, we’re in! We joined the team last summer and have enjoyed learning more about Riley and the funds that make it possible. …Well, the city of Indianapolis, the Riley Children’s Foundation, Former Colts Coach Dungy and Basket of Hope have teamed up for a project called Super Baskets of Hope… I know, amazing, isn’t it?! The goal is that on January 30th, 900 volunteers will gather at Bankers Life Fieldhouse (formerly Conseco Fieldhouse) to assemble 7,000 baskets and tote bags. These baskets will then be shipped to all 32 NFL cities and delivered by local celebrities to sick kids in that city’s children’s hospital. This will all happen the week before the Super Bowl. Wow. We have also been asked to share our story during the assembly. Kraig and I will have the opportunity to stand on that stage with our now 7-year-old healthy boy and give God glory for using Riley Hospital and it’s research in the treatment of our son’s cancer. Our ultimate hope lies in Christ and we’re so thankful that through Super Baskets of Hope 7,000 families will have the opportunity to take a tote bag filled with a Bible. How can you possibly give more hope than that? We’ll keep you posted of any further media releases or updates. The Super Baskets of Hope website is: http://superbasketsofhope.org/ We also plan to take pictures and video during the assembly day. The following day we’ll be helping to deliver some baskets locally to Lutheran Hospital with a local football coach “celebrity.” It’s going to be a very special week. A full circle… woven in a Basket of Hope. Only the God of all Hope could have pulled that one off! Super Baskets – Super Success! 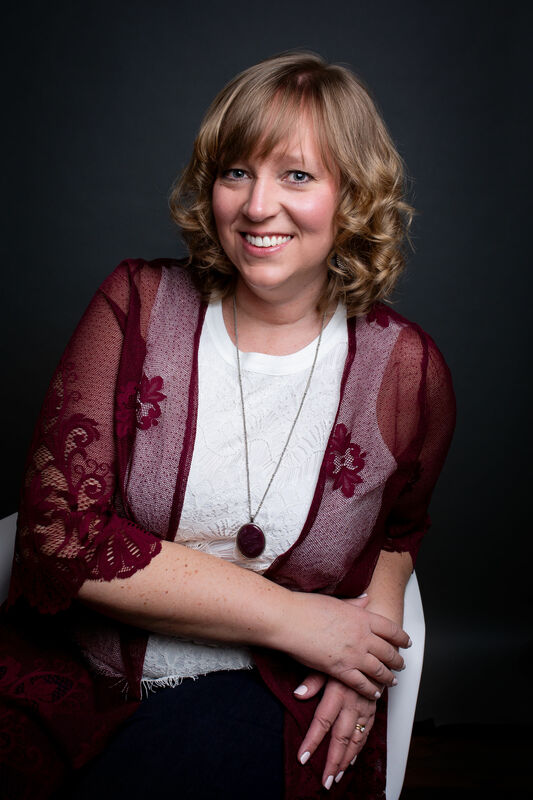 Christy, I love learning about your family through your blog. You are a very gifted writer who makes such a connection with your words. I’m delighted to have met you and am pleased that even more people will come to know you through the Super Baskets of Hope project. See you soon! This is so wonderful; I loved reading about the “full circle” and can only think about how many families will be touched through this outpouring of love. Michele Leach posted a link on facebook that led me to your wonderful blog. I’m so thankful that we were able to get to know your family a bit through Upward basketball last year! Many blessings to you and your family! God is awesome and we praise God for your faithful service and testimony to his greatness!! I love learning of your testimony! The Lord is obviously using you to spread good stemming from your son’s trial.